Specializing in mid to high level Agile projects by bringing development and design together for optimal user experience. Specializing in mid to high level Agile projects by bringing development and design together for optimal user experience. My ability in implementing Agile philosophies into the Scrum framework allows me to quickly integrate design and development into self-organizing teams, to increase ROI for the project. With a diverse background in Agile and User Focused Methodology and Practices throughout the four phases of a project's life cycle, I work with agile teams to engage in the delivery of information and API based IT products. I collaborate with the Scrum Team to break down complex projects into results driven processes. My experience in being in different roles of the project's four phase life cycle, throughout the last 15 years, allows me to understand both the stakeholder, user, design and development team, and customer service perspectives. Collaborating with Design, Marketing, Analysis and Development team while achieving usability and profitability goals, creates a positive user experience for all entities that will be involved with the project from conceptualization to product use. 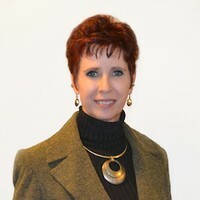 My diverse knowledge and expertise in various industries throughout their Discovery, Strategy, Design and Execution Phases in the SDLC allows me to integrate Customer Experience Design with User Experience Design to facilitate the emotional response and connection between the user, product and company to provide consumer loyalty.